Long Time Gone was published in November 2008 along with On Parade, Blades, Blades II, and The Temptress. This is an Artist's Proof of Long Time Gone and comes with a Certificate of Authenticity. Published in an Limited Edition size of 250 with 25 Artist Proofs. 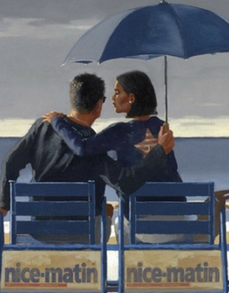 Each print is signed and numbered by Jack Vettriano, the Artist Proofs are signed and numbered in Roman numerals by the artist. This edition has been sold out at the publishers from some years and is only available on the secondary market. In the background of this print is Methil Power Station. 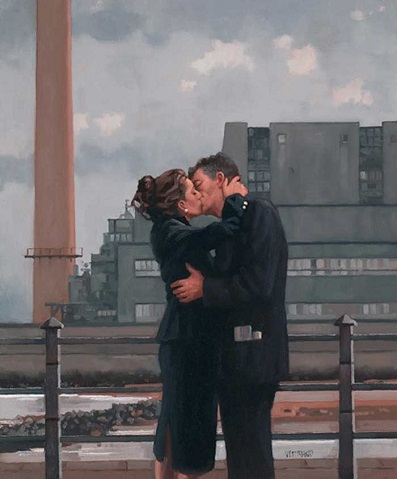 Since the launch of this Limited Edition Giclee Print Methil Power Station has been demolished. The station was decommissioned in 2000 and finally demolished in 2011 as part of a regeneration of the area. The main building was demolished on 20th April 2011 and the chimney stack on 8th June 2011. The original Long Time Gone oil on canvas 24 inches x 20 inches was shown at the Love, Devotion and Surrender exhibition in 2006. 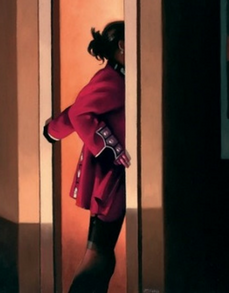 All our Limited Edition Prints have been stored flat from purchase.